We've been hearing a lot of "buzz," both positive and negative, about the movie, The Shack. As you probably know, it's being released in U.S. theaters on March 3. I find that many of the objections to the movie are based on misunderstanding concerning the nature and content of the book The Shack by Paul Young (the movie closely follows the book). These misunderstandings, I think, have largely to do with a failure to recognize that the book is a work of fiction. I hasten to add, however, that fiction is able to convey powerful truth---that is certainly the case with The Shack, which, I believe, upholds the truths codified for the church in the ancient creeds, including the Nicene Creed. People who are critical of the book The Shack (and thus the movie) also often fail to account for the fact that The Shack is not only fiction, but is written in the form of an allegory, which is to say that certain things represent other things in unusual, figurative-symbolic ways. Thus Paul Young is not claiming that God the Father is, literally, a black female, any more than Jesus, in his statement in Matthew 23:37, was claiming to literally be a mother hen with chicks gathered round her. The characters in The Shack all stand (allegorically) for vital truths---first about the nature of the triune God (Father, Son and Spirit) and then the nature of humanity, struggling with its alienation from God (note that it's not God's alienation from them), its suffering due to sin, its fears and anxieties, and its struggles to believe. 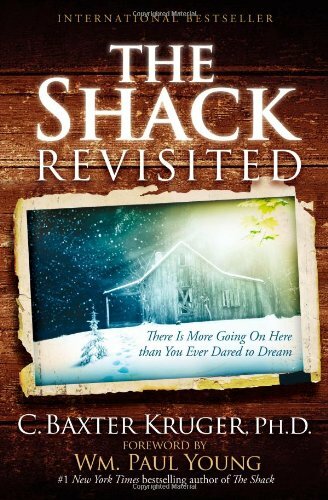 To understand the symbolism and thus the underlying theology of The Shack, I highly recommend the book The Shack Revisited by C. Baxter Kruger. I also recommend the booklet, God, the Bible and the Shack and a Q&A Supplement to the booklet, both by Gary and Cathy Deddo. For a blog post from Baxter titled "The Genius of The Shack," click here. 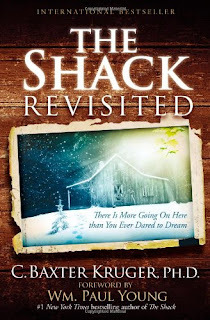 For a GCI Weekly Update letter from Joseph Tkach titled "The Shack (the Movie)," click here.